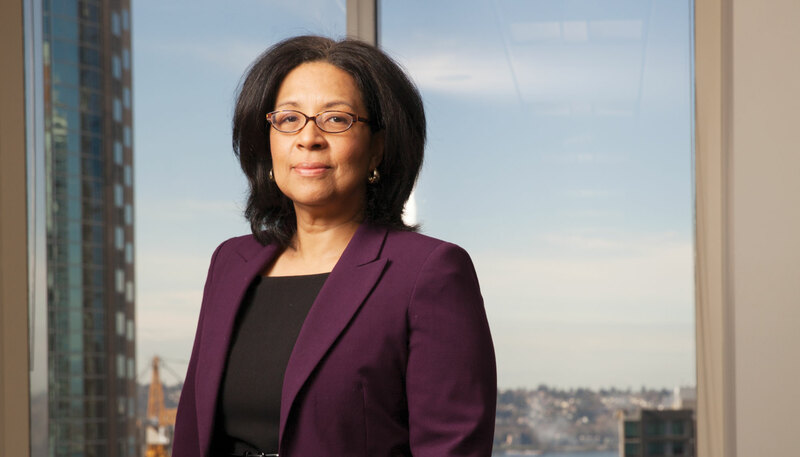 The Seattle Metro Chamber’s new CEO on leadership, consensus and kimchi. CULTURAL APPRECIATION: As an African-American and Korean-American woman, Marilyn Strickland understands intersectionality in government and in the workplace. EARLY YEARS: My parents came from humble circumstances. My father grew up in a small town in Georgia. An African-American, he was in the military in South Korea when he met my mother. She was a Korean, who survived the Japanese occupation of Korea and a war. I was a baby when we came to America, so I say I’m a daughter of Korea but an American woman. My parents wanted to make sure I had opportunities they did not, so they put a great emphasis on education. It wasn’t, “If you go to college,” it was, “When you go to college.” There were high expectations. IDENTITY: America was a lot different in the ’50s and ’60s when I was growing up. It was a time when people talked about the smell and taste of kimchi in negative terms. Now, everyone wants kimchi. I was firmly rooted in both my African-American culture and my Korean-American culture. It was important to my parents that I never apologize for who I am. When friends came over, we took off our shoes before going into the house. My mom would serve Asian food. It was, “This is who we are and you are welcome to be part of it.” It was about being Asian and biracial. FIRST JOB: It was at a Burger King in Tacoma. It was fun because I was around a lot of teenagers I knew. But I had to wear this polyester uniform that was orange, brown and yellow. It was hot and uncomfortable. MBA: I got my MBA in Atlanta. I planned to stay there and work for one of the big brand companies like Coca-Cola, but the economy was soft in 1992, so I reluctantly came back and moved in with my mother. I joined Starbucks, which was small but growing rapidly, and worked on their mail-order catalog and online businesses. I moved to an advertising agency, where I handled the launch of Tacoma’s public broadband system. Having that public option made Comcast improve their service. WOMEN IN POWER: Up and down the I-5 corridor, pretty much every major city has a female mayor now. It will have an impact. We talk about women being collaborative and better listeners, but I think the strongest attributes women bring to politics is that we get things done. Women in the workplace are usually also managing things in our personal lives, so we have to be more efficient at work. We prioritize and move things forward. LEADERSHIP: Sometimes, people hold women to a higher standard. And as women, we are socialized to second-guess ourselves and not trust our instincts. You have to be your authentic self and not try to please everyone. In Tacoma, we hadn’t passed a measure to fix our streets in 40 years. While I was mayor, we put out a ballot to change that and it failed. We could have just given up, but instead we doubled down and came back bigger. It passed. It’s about doing something knowing you might fail, but not letting that keep you from doing the right thing. FOREIGN INVESTMENT: I wasn’t able to get local people to invest in Tacoma, so I traveled to China and Vietnam, telling the Tacoma story. They wanted their kids to have access to education, so we would tout our schools. Once they began investing [in hotels, offices and residences], the local investors followed. CHAMBER’s ROLE: The chamber must serve as a convener, have a unified voice and call out the things that are important to all of us. We all want more family-wage jobs and to address housing affordability, homelessness and transportation. We need to address those on a regional scale. CONFLICT: When you’ve served as mayor, confrontation and conflict are not new. You develop a thick skin and can power through and figure out what’s important and what you want to accomplish. If you look at civil discourse, some of these interactions have been pretty contentious and uncivil. But I also think that there are things we can agree on. CITY BUDGET: I don’t come from a city that has an abundance of everything. In the last recession, we had to cut 15 percent of our budget. In Seattle, the payroll has gone up 37 percent during a period when the population is up 11 percent. Are they looking for ways to find efficiencies before looking to increase taxes? MAJOR GOAL: To change the narrative in Seattle that business is bad, I want to have a collaborative, open-minded relationship with the City Council. I would also like to see more regional collaboration.